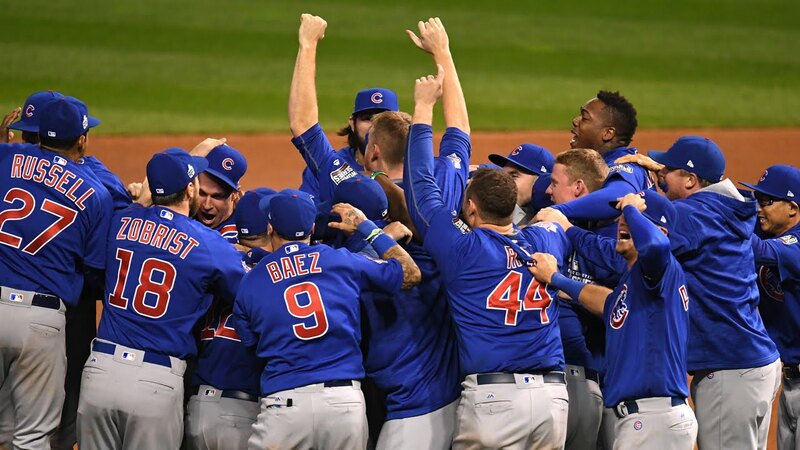 Chicago Cubs topped one of the most compelling games in World Series history to win their first championship in 108 years as they outlasted the Cleveland Indians in an extra inning. 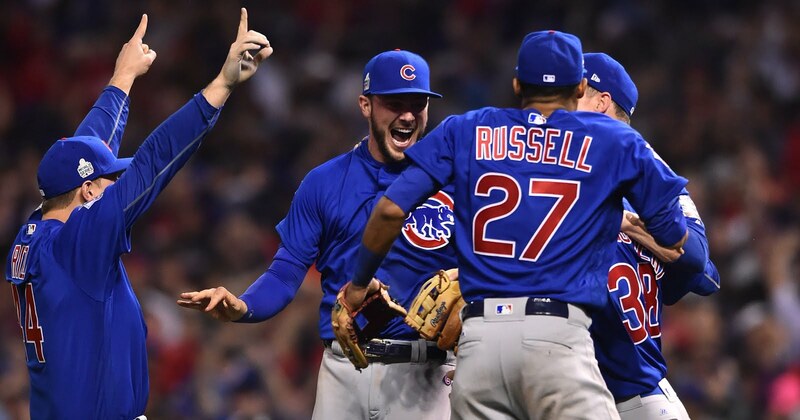 A thriller from start to finish saw the Indians force a tenth inning after a wild shot from Davis scored two and tied things up at 6 runs apiece, but Cubs would outscore the hosts 2-1 in the extra and they pulled off an incredible feat in Ohio. Absolutely everything was on the line as the Progressive Field readied for a high-stakes epic seventh instalment to what had been a World Series for the ages. Having rallied from 3-1 to get there, the Chicago Cubs had a dream start against the in-form Corey Kluber. A solo home run got the Ohioans on the board and cranked up the pressure for the Indians. Somehow the hosts came up empty with a strong bottom second inning, which featured José Ramírez being caught out on a big hit. An inning later though they would manage to level the score, as Carlos Santana drove it down the right to score Coco Crisp. In the top of the fourth Chicago would begin a strong period where they created a gulf between themselves and their opposition. Bryant was just about safe on a razor-close call where he got tagged by Davis, then Conteras smashed another shot which bounced off the wall. Corey Kluber was continuing to cool off and another of his pitches went swivelling into the stands as Javier Báez nailed a home run into the right centre of the field and the Cubs were now jubilantly celebrating as the dreams were looking to become a reality. After Chicago made it 5-1, David Ross would take a hit as Lester's pitch bounced off the ground, allowing Kipnis to get away who had Santa in front of him. The deficit was cut to two and the tension could similarly be cut with a knife, as crunch time descended upon the grandeur of game 7. David Ross, who was retiring in the best of ways by playing his final game in the World Series decider, restored some of the lead with a single homer which struck the wall beyond Davis, as Miller's pitching was struggling to hold a challenge once again. Guyer struck the ball cleanly to make it 6-4 at the bottom of the eighth, and it was set to be a nail biting finale as Ramirez was able to get the run. Then, the non-existent roof would come off the stadium when Rajai Davis nailed a two run home run to tie the game. The fans were going wild as he smashed it straight into the stands and got himself and his teammate to the scoring base. A tie game in the ninth inning with the World Series on the line, only one thing could stop them. The elements. Rain poured down to delay the ball game for around half-an-hour, with nerves skyrocketing as everything was on the line. Lindor was last to step up bottom in the ninth but he couldn't get anything on, and that meant one thing: an extra inning. Almora and then Montero would score for the Cubs at the top of the tenth, but the Indians would respond with Guyer scoring to make it a one run ballgame. Fans were on their feet, no one could take their eyes off the action. 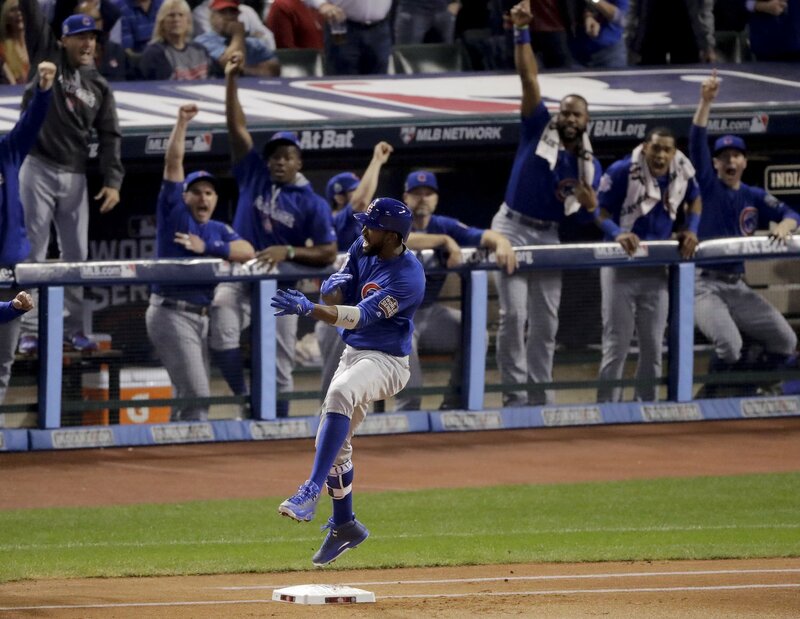 But when Mike Martinez's pitch landed into Bryant's hit that was it, 108 years of pain and waiting had ended: Chicago Cubs, 2016 World Series champions. 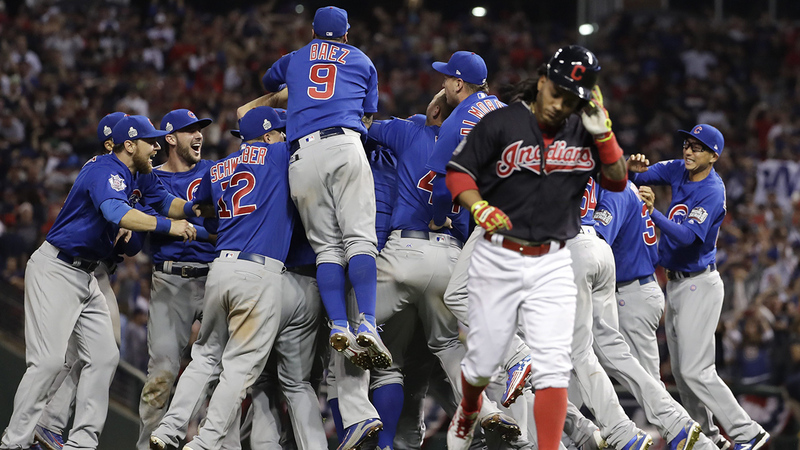 In one of the most memorable games of all time, the Cubs defeat the Indians to win the #WorldSeries!